Hassan Abboud, who was killed in today’s car bombing, posted this picture on his Twitter page earlier this year. It shows Abboud (right) walking alongside a top al Qaeda operative known as Abu Khalid al Suri (left). Al Suri was killed in a suicide attack in February. The Islamic Front, a coalition of several rebel groups fighting in Syria, announced today that more than one dozen of its senior leaders have been killed in a car bombing in Idlib. 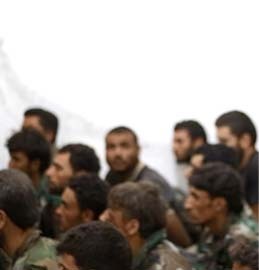 Among them is Hassan Abboud, who was the head of the Islamic Front’s political office. Abboud was also the head of Ahrar al Sham, an al Qaeda-linked group that holds key positions within the Islamic Front alliance. There has been no claim of responsibility as of this writing. Their deaths are a major blow to the Islamic Front and Ahrar al Sham. “The Islamic Front gives the Muslim world the good news of the martyrdom of the head of Ahrar Al-Sham Islamic Movement (Head of the Political Bureau of the Islamic Front) Hassan Abboud … and some of his companions,” a statement from the Islamic Front posted on its official Twitter account in English reads. The statement names 11 other slain leaders who are described as “some of [Abboud’s] companions.” They include Abu Abdulmalek, the Islamic Front’s top sharia official. 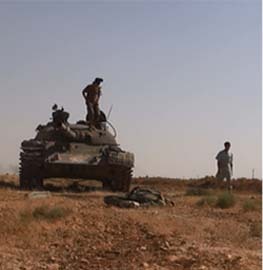 In addition, “several other leaders” of Ahrar al Sham were killed. But Ahrar al Sham and the Islamic Front are closely allied with the Al Nusrah Front, al Qaeda’s official branch in Syria. A prominent al Qaeda figure known as Sanafi al Nasr has revealed on his Twitter account that al Qaeda’s senior leadership in Pakistan dispatched seasoned veterans to serve in the ranks of both Ahrar al Sham and Al Nusrah. The Islamic Front, Ahrar al Sham, and Al Nusrah are opposed to the Islamic State, the al Qaeda offshoot that has captured large swaths of territory stretching across Iraq and Syria since earlier this year. Abboud was especially close to a senior al Qaeda operative known as Abu Khalid al Suri, whose real name was Mohamed Bahaiah. 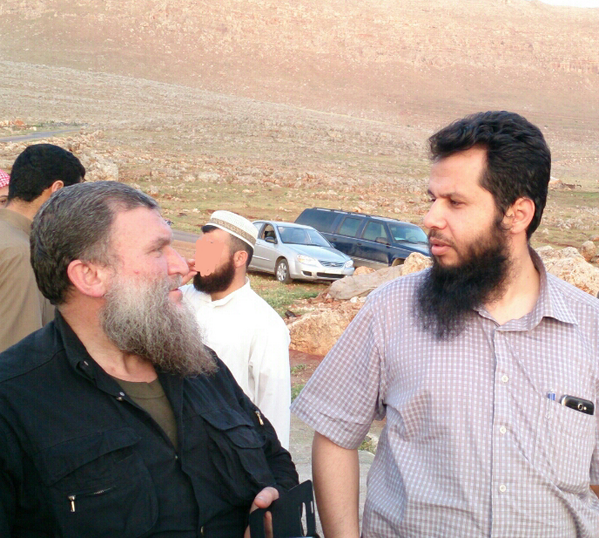 Alongside Abboud, Bahaiah cofounded Ahrar al Sham. The Long War Journal first reported Bahaiah’s dual-hatted role as both an Ahrar al Sham leader and al Qaeda operative in December 2013. That same month the US Treasury Department reported that Bahaiah was al Qaeda’s “representative in Syria” and was receiving donations from Gulf donors that were then passed on to other parts of the al Qaeda network. Both Abboud and Bahaiah were staunch opponents of the Islamic State and repeatedly criticized the group and its emir, Abu Bakr al Baghdadi. 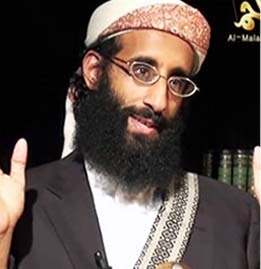 After the infighting between the Islamic State and the Al Nusrah Front became public in April 2013, Ayman al Zawahiri named Bahaiah as his chief representative in the region and tasked him with mediating the dispute. Bahaiah’s reconciliation efforts failed and he subsequently released an audio recording denouncing Baghdadi’s organization. He also urged al Qaeda’s general command to disown the Islamic State, which they did in early February 2014. Later that same month, Bahaiah was killed in a suicide attack. It is widely believed that the Islamic State was responsible. Several weeks later, in early April 2014, Zawahiri issued a eulogy for his fallen comrade in an audio recording. A video produced by al Qaeda to accompany Zawahiri’s eulogy highlighted Bahaiah’s al Qaeda role, showing footage of him attending the Al Farouq training camp in Afghanistan in 2000. The images included a scene of Bahaiah walking between Osama bin Laden and Zawahiri. 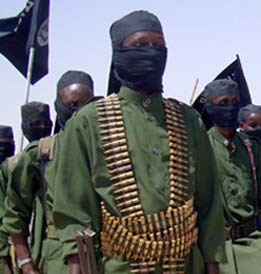 Senior al Qaeda leaders in Syria, such as Sanafi al Nasr and Abu Firas al Suri, openly mourned Bahaiah’s death as well. 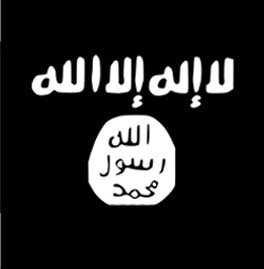 Both Nasr and Abu Firas said that they had warned Bahaiah that the Islamic State was seeking to kill him. Only after Bahaiah was killed did Abboud make their relationship public. Abboud posted a series of pictures of the pair of jihadists working side-by-side. The photos were clearly intended to illustrate Abboud’s close working relationship with Bahaiah. One of the pictures can be seen above. Abboud also changed the avatar on his official Twitter page to a photo of Bahaiah. He kept the photo on top of his Twitter feed for weeks after Bahaiah’s death. And now Abboud has met the same fate as his longtime companion. It smells like an ISIS strike. Al-Baghdadi is on mission to be THE Caliph — and these rival factions just have to go away. ISIS has the technical means, the (inside) connections, and the motivation for such a strike. The target was especially well chosen. ISIS can reasonably expect rank and file fanatics to abandon their old connections — as their fealty evaporated when the top players died — and join with ISIS to carry on the jihad. I would expect that al Nusrah will be liquidated before another twelve months pass. Just as important as the players was their role as the money spigot for jihad. Now these paymasters are dead. Anyone willing to fund al Nusrah certainly can have no objections to funding ISIS. Somehow I suspect that the sole reason all of these leaders were in one spot was to receive a cash distribution… a payday. In the Arab jihadi scheme, the leaders hand out the cash quite directly. This is very unlike Western/ modern militaries that use checks or direct (electronic) deposits. It’s something to think about going forward. Every payday brings the key players together. It’s a self-selecting event. It’s a cultural requirement that is probably impossible to change. So.. good news. bad news it would seem. If only our intel was as good as whomever seems to be cleaning house here. Al-Baghdadi has, not surprisingly, borrowed a page from UBL’s playbook, replicating the assassination of Ahmad Shah Massoud, the former commander of the United Islamic Front or Northern Alliance. It took Centcom about 3 seconds to note that both events took place on September 9th with all of the prophetic implications. Al-Baghdadi’s timing was exquisite, reducing the White House strategy of reliance upon “moderate” Islamists in Syria to pink mist. As the Kennedy brothers never seem to fully grasp, decapitation is a two way street . . .
IS did it to IF. With all due respect blert, I think you are a little off regarding the non-IS jihadist groups in Syria. They still exist, and have shown that they can adapt accordingly to their situations. 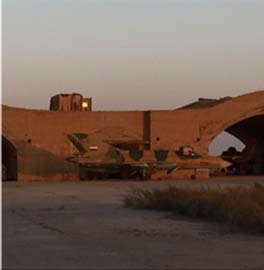 Even right now, independent brigades are launching new operations running from Daraa all the way to Qalamoun. This is a purposeful, coordinated campaign to put more pressure on the regime and cut off their supply lines leading to different areas. I do not believe that Assad will survive this at the end of the day. Some people have raised the very real possibility of an Alawite insurrection, because they are mad that Assad remains arrogant after all these years, and all those Alawite people that died or were brutally injured trying to keep him and his family on his throne. There are people that will make it their life’s mission to remove Assad and his clan.